On the morning of March 24, I was in the café car on the Eurostar high-speed train, on my way from Paris to London. I glanced out the window as we zoomed at nearly 200 mph past a stopped train, a concrete platform and some parked cars. I asked the barista if that was Haute-Picardie station. 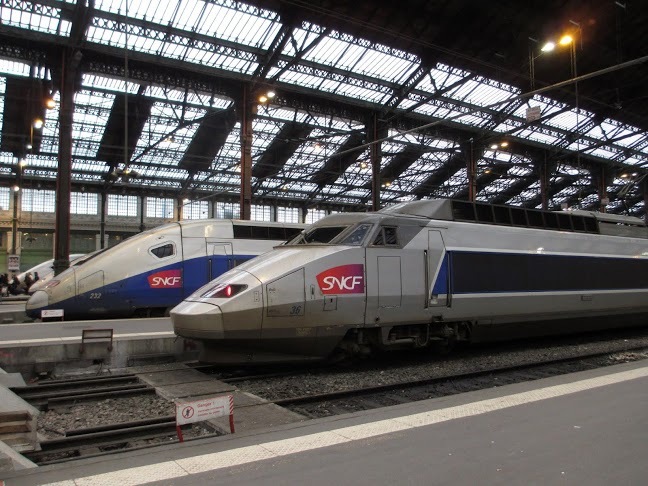 She looked at the clock, gave a Gallic shrug, and said “probablement.” I told her how I’d read in the Los Angeles Times that California’s High Speed Rail project needs a re-design, citing Haute-Picardie as evidence that intermediate stations slow the whole system. Under the new state budget, $250 million was allocated for California HSR in the next fiscal year. With a portion of cap-and-trade funds now dedicated to the project, it will have a way to move steadily forward. This was covered widely in the press, including in the Times. But more often than not, Times coverage has been alarmingly one-sided, substandard and inaccurate. For example, on December 15, 2011, the paper ran “Bullet Train’s Travel-Time Mandate Adds to Ballooning of Costs.” It was written by Ralph Vartabedian, the principal reporter on the beat, and Dan Weikel. It says that “In the fine print of a 2008 voter-approved measure funding the project was a little-noticed requirement that trains be able to rocket from Union Station in downtown Los Angeles to San Francisco in no more than two hours and 40 minutes.” The article’s premise is that the speed requirements were virtually unknown and that was causing huge complications. On page one of Proposition 1A, which launched the project, it says, in bullet points: “Establishes a clean, efficient 220 MPH transportation system.” The obligation to complete the journey in two hours and 40 minutes is deeper inside, but it’s in the same print as the rest of the law. The speeds were well known. And existing HSR trains go fast enough to fulfill the mandate. On Nov. 12, 2012, Vartabedian wrote a piece entitled “Bullet-Train Planners Face Huge Engineering Challenge.” He wrote that the train will “…cross more than half a dozen earthquake faults heading toward L.A,” as if there’s a big question about whether it’s prudent to run HSR in areas prone to temblors. On March 11, 2011, Japan was hit by the largest earthquake in its history. There were 27 bullet trains running through the destruction zone. But early warning computers hit the emergency brakes as soon as the shockwaves were detected. The quake and accompanying tsunami killed 16,000 people and destroyed 129,000 buildings. Yet the bullet trains stayed on the tracks, continuing Japan’s perfect safety record for its half-century old network. It’s odd that Vartabedian focuses on high-speed train engineering and earthquakes without mentioning history’s most definitive real-world test. They emailed me back that the letter was approved and would likely run in a few days. But it didn’t. Instead, they ran letters that were negative on the project. On Sept. 28, 2013, the Times ran a story based on their own USC Dornsife/Los Angeles Times poll, which found that 52 percent want California’s HSR project stopped. But even there, things aren’t as the Times presents it. A poll done in April of this year by the Public Policy Institute of California, shows that 53 percent still support the project. That poll, as with almost any favorable information, is ignored by the Times. The Times will occasionally run a “positive” story. For example, in Dec. of last year they published an Op-Ed entitled “How to Make High-Speed Rail Work in California.” It was written by Stuart Flashman, identified innocently as an “Oakland attorney who has represented governmental and public interest clients on high-speed rail issues since 2004.” It doesn’t mention that he’s suing to stop the project on behalf of clients on the ROW in the Central Valley and Bay Area. Not surprisingly, his alignment suggestions–besides being unworkable–avoid their properties. And on February 13, the paper ran: “Don’t Give up on the Bullet Train, California” by Tom Zoellner, an associate professor of English at Chapman University. One of his story’s main points was the thing that made the barista on the Eurostar laugh–that local stations such as Haute-Picardie slow things down. “California’s current 11-stop road from Los Angeles to San Francisco map routed through Fresno is too jerky and slow,” he wrote. But Japan’s famous Tokyo to Osaka bullet-train line has 15 intermediate stations. Secondary stations have extra tracks, so express trains blow right past locals, just as my Eurostar did. The fact that some trains will stop at Fresno and other smaller stations has no bearing on the overall speed of the system. But eliminating these stations and changing the alignment, as Zoellner suggests, would invalidate the engineering work and the funding, killing California’s project. For years now, nearly every bit of HSR coverage by the Times has been like the articles cited above. I once admired the newspaper and even freelanced for them. It’s not in the self-interest of any journalist to accuse editors and potential employers. But at some point every transportation reporter has to step up and point out the obvious: the Los Angeles Times coverage of HSR is deceitful and shamelessly biased. True, but then there would not have been any dead or maimed heros for the chicken-hawks to fawn over, nor would we have an upcoming generation of people who hate us for our foreign policies to support the security-industrial complex in the decades to come. Is their no train construction lobby paying off the other side? No, but when all you do is repeat anti-rail talking points, you’re a troll, troll. wow – that must have taken a lot for you to come up with that one. Well I don’t know all of their comments and I doubt you know all of that persons comments either – which would make you foolish. “Nowhere, to nowhere” is talking point #1 of all the anti-rail groups. Every anti-rail campaign, from the LA subway, to HSR, etc… it’s always “train to nowhere.” They use it over and over and over again until less-than-intellegent people start repeating it themselves, without even realizing it was planted in their vocabulary intentionally by skilled spin doctors, under the employment of paid oil-company lobbyists. As a liberal, I hope this project dies. We need better rail in cities, and from cities into suburbs (downtown to san bernardino/high desert, etc), faster, cleaner, electrified. There are a ton of projects we could do with this money that are much more impactful. between limited-stop express and all-stops regional train services. sensible “blended plan” don’t see how the CHSRA can meet the 2-hr 40-min travel time. For the over 400 miles between LA and SF, 3 to 4-hrs would work just as well and allow the project to be built faster and with less money. Anthony, you need to get familiar with the Prop. 1A law and what’s actually being done, instead of falling for the anti-rail propaganda. The project should have been called the “California Rail Modernization Plan,” because that’s a better description. HSR is only part of it. There are already commuter rail upgrade projects going on all over the state as a result of this project. Go up to see the new Transbay terminal–the whole lower level station box is part of it. Anaheim is getting a whole new train station hub/complex. MetroLink signal and track upgades. Grade seps. In fact, the examples you cite…San Bern/High Desert, are tied into the CaHSR project…they need each other to work and will be integrated and connected. 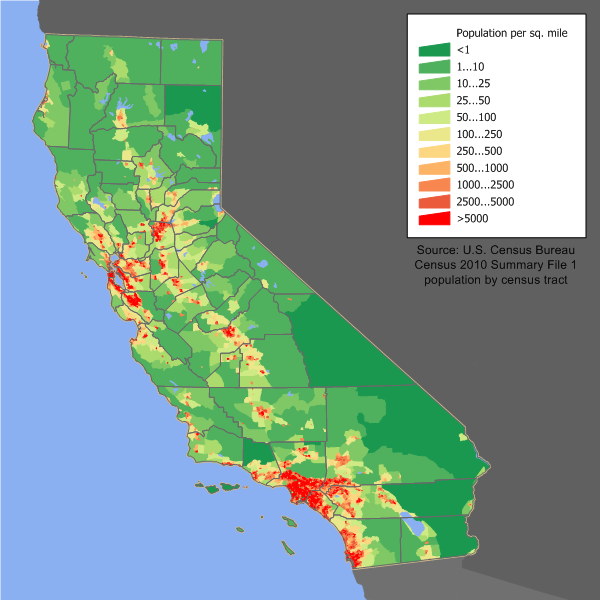 Furthermore, 6.5 million people live in the Central Valley. They also have serious economic problems… Fresno and other cities stand to gain so much by being connected to SF and LA. This whole project is much more than you think…and much more than what’s been reported. I’m sorry, but HSR is not necessary for LA to complete the purple line extension and a massive improvement of metrolink. Focus on electrifying the freight system, too. All of that can be done on its own. There is not enough population density in the central valley to make it worth while. There aren’t that many people going from sf to la to make it worthwhile. This is the right project, but at the wrong time. In 50-100 years I could see this, but not now. It’s a pet project of the Democrats, who are ashamed of it and refuse to publicize it, and it’s hurting the party by continuing it. We have dozens of other projects that need that money fast-tracked, right now. So we should all still be riding around in Conestoga Wagons because there wasn’t enough “population density” to build the first transcontinental railroads across the Great Plains? You don’t mention diverting highway monies to transit, just HSR money (much of which is already going to local transit). And you use the old “it’s not the right time” talking point too. Whether you are aware of it or not, you are echoing Reason Foundation talking-points nonsense. Funding is finite. Improving transit within city/regional limits is far more effective than a single line that goes between LA and SF. There are est. 18 million people in the greater LA area alone. Building multiple rail lines that move them, and port freight, around efficiently is far more important than one single line going up the middle of the state. You guys have lost this one, and you’re hurting the transit and Democrat branding by continuing to support this lemon. I say this as a liberal/Dem. No. There’s no HSR industry in the US to fund it. A few foreign companies have put up a minimal effort in the past, but they’ve been burned so many times by the false starts and there’s such a huge market overseas that they don’t take the US seriously. That said, there’s the USHSR Association, but that’s like one guy in DC versus a massive petroleum lobby, anti-rail think tanks, all with huge staffs, etc. .
Building an all-new alignment in the flat and open Central Valley will cost pretty much the same whether it’s for 160 mph, 180 mph, or 220 mph. And the newest trains are so efficient they can achieve 220 mph (and 250 mph is on the horizon) using the same energy as today’s commonplace 190 mph trains. It was never the plan to go 220 mph up the Peninsula or into the LA Basin. So the blended approach isn’t really a factor (in fact, “blended approach” is more political branding than anything else–some form of blending was always part of the plan). The math actually isn’t that hard. If you go 220 up the entire Central Valley, the 2:40 mandate becomes pretty easy to achieve with 110 mph and 160 mph on the remainder of the alignment. That’s why the “pure run” time is actually calculated out to 2:30. The “pure run” time assumes no other train traffic on the Caltrain line, and does not include time for trains to go from 4th/King to the Transbay Terminal. Nor does it include schedule padding (5-6% according to the Peer Review group). Thus, the real-world schedule time is definitely more than 2:40. The business plan says 3:00, which (in my view) is perfectly Ok — but not allowed under Prop 1A. “There is not enough population density in the central valley to make it worthwhile.” These maps generated by the Census Bureau and INSEE say otherwise. As you can see, the population density of the corridor is very similar to the Paris-Lyon TGV corridor, the most profitable HSR line in the world. “There aren’t that many people going from SF to LA to make it worthwhile.” This is utterly false. It’s the second busiest air route in the country with over 6 million annual passengers. Not sure if those maps prove anything, they’re pretty vague, but if it’s such a sure thing, then let private companies fund it. The costs keep increasing, speed and ridership decreasing. Taxpayers should not be locked into such a project. Also, the environment is a huge concern. You will have a giant line being cut through the middle of the state that will hamper the movement of wildlife and people. How many over/under passes will need to be built? Why are the proponents absolutely obsessed with a SF to LA line? Why not multiple fast lines from Downtown spreading throughout SoCal? There are far more people in those areas that need it than people going to/from Bakersfield or some central valley destination. A liberal/Dem spewing nothing but right-wing talking points? Prop 1A mandates the Transbay Terminal is the SF stop. If wise financial decision-making is a right-wing talking point, then our party is in trouble. There is a time and place for a project like this, and now is the time for regional projects such as city subways, light rail, airport links, etc. Maybe in 50 years we could do HSR. Yeah, but Dems don’t accept that private companies always make “wise financial” decisions or that government always makes bad decisions. You’re welcome to believe that, but that makes you a Republican, not a Democrat. I know facts don’t matter to this drunk, but Transbay is NOT listed for the time mandate, which specifies Union Station in LA but just says “San Francisco” on the other end. So I guess your belief is a train can get from LAUS to 4th and King in 2:40, but the last few blocks would push it over, if that were the mandate. Google AB 3034 sec 2704.04, which leaves no doubt about the SF stop. Travel time into the TTT will be 5 min due to sharp curves. Prop. 1A still says SF for the time mandate, not Transbay. Splitting hairs here, yes, but that’s what courts do. And 2:32 + 5 = 2:37. Still within the mandate. You are arguing with arithmetic, which is quite funny. It’s not logical to say that improving transit within cities is more effective than building an HSR link between cities because intracity and intercity transportation serve completely different purposes. It’s a case of apples and oranges. You can ask what is the more effective method of intracity travel or intercity travel, but you can not say that intracity is more effective than intercity, just as you can’t say that a salad spinner is more effective than a toaster. Therefore, intracity and intercity transportation can’t be mutually exclusive. They have to be built in conjunction, interlinked with one another, to create the most efficient statewide transportation network. This is why Caltrain and Metrolink are being upgraded as we speak. Absolutely you can say that. Of those 18 million people in the Greater LA area, how many of them go up to SF, and how many of them are going between Riverside/Downtown, or Sherman Oaks/Westwood, etc? They might not be mutually exclusive, but most transit movement in this region stays in the region and not in/out of it. People going to work and back, freight moving from the port in several different directions, etc. Most pollution that we are dealing with comes from the port and from cars moving around the region. Solve those problems and you benefit those 18 million people. No way is SF to LA the priority. You should fight the widening of the 99 if you’re so opposed to transportation projects in the Central Valley. High speed rail will take California’s economy from 65 to 220 mph. The HSR is faster, cleaner and electrified. The LA – SF corridor is one of the most heavily transited areas in the country. The need for good alternatives to driving or flying is clear. There is no question this will be a very important piece of the equation. And if you are at all progressive, I imagine you would like the additional economic benefit to the Central Valley. They already have thousands of good jobs on the project that didn’t exist before. “We need better rail in cities, and from cities into suburbs (downtown to san bernardino/high desert, etc),” So is Palmdale not high desert? Is Burbank, San Bernardino, Norwalk, Fullerton, and Anaheim not suburbs of LA? Because that is where the High Speed Train will be heading to. How about these other cities with potential stops? East San Gabriel Valley, Ontario Airport, San Bernardino, Riverside or Corona, Murrieta, and Escondido. Imagine now being able to afford a home in Bakersfield and being at work in Downtown LA in less than an hour. BTW, the high speed train would be faster, cleaner, electrified that would give a connection to the tons of other projects being built in LA alone. NYT gives a balanced recap of a troubled project overcoming obstacles. L.A. Times continues its disgraceful tradition of misleading hit-pieces. California high-speed rail proposes to use the existing rail alignment between L.A.'s Union Station and ARTIC in Anaheim. That will require some modifications, including a number of grade separations.